Short answer: No. Long answer: Maybe, but they're hardly necessary. Tablets aren't the hot commodity they once were, but that's not because the tablets themselves have gotten worse. Steady progress by smartphone and PC makers means the sweet spot that those standalone tablets used to occupy just isn't as big as it used to be. That leaves us (and you, if you're reading this) with a bit of a conundrum: It's 2018; do you actually need a tablet? Before we go any further, I just want to clarify what I mean by the word "tablet." Some Windows notebooks have flip-around hinges that let you more easily interact with their touchscreens. Others have displays that detach entirely and can be used as fully independent slates. That's not what I'm talking about. In this case, I'm talking about tablets that run either iOS or Android -- devices that are meant to fill in a gap between your phone and your computer rather than replace either. This isn't just an arbitrary distinction, either: Research firms like IDC that monitor device sales also consider these separate categories. You might already have plenty of hardware, but some decent tablets are so cheap that they sometimes feel like impulse buys. 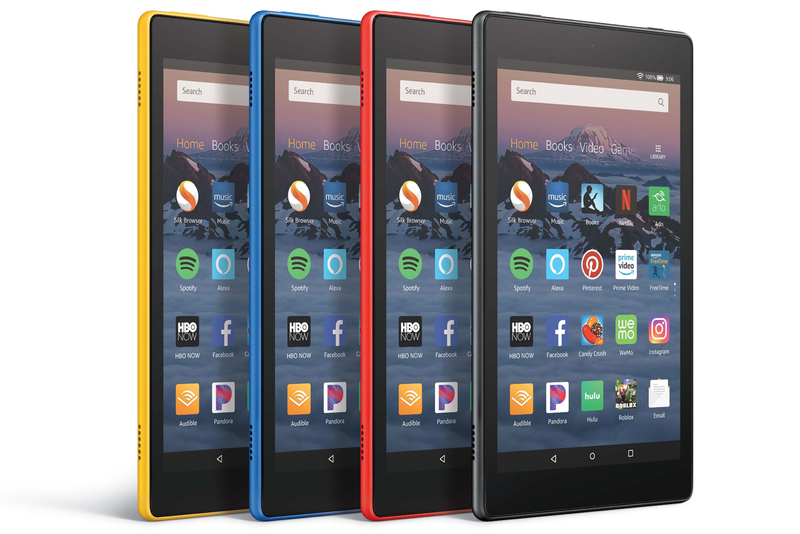 Amazon in particular shines here: It has two perfectly adequate tablets for less than $100, and, while neither the Fire 7 nor the Fire 8 HD will blow you away with their horsepower, they're both good enough for basic web browsing and media playback. If you have a slightly bigger budget to work with, Apple's refreshed entry-level iPad starts at $329 and packs updated components and support for the $99 Apple Pencil. It's a lovely option if you enjoy doodling or jotting notes, and it isn't too hard on your wallet. Do not -- we repeat, do not -- give your smartphone to your kids if you can help it. It might make for a few cute Instagram posts, but we've heard our fair share of smartphone horror stories involving young ones. Instead, cheap tablets like the ones we just discussed make for great distractions during long car rides and stressful situations. Their bigger screens mean that icons and educational apps are easier to interact with, a crucial benefit for those whose fine motor skills aren't done developing yet. Just be sure to get a sturdy case, even if your chosen tablet has an extended warranty like Amazon's. While tablets can be valuable tools for parents, it's important to remember that they might not be ideal for the very young. The medical community still seems to disagree on how old a child should be before they first use a tablet, but at least one study points to a connection between tablet use in children under two and delays in speech development. All right, bear with me on this one. People are buying more smartphones and PCs than tablets, so it's pretty clear what kinds of devices we're using to get actual work done. That said, a correctly equipped iPad or an Android tablet could feasibly replace a laptop for lightweight tasks like web browsing, media consumption and word processing. The traditional notebook and PC form factors aren't going anywhere; they're likely to remain the de facto choice for power users. Realistically, though, most people might not need that kind of power. Even so, hardware makers have spent years trying to close the gap between tablets and more traditional computing setups. The performance gap between the two has shrunk dramatically as a result -- iPad Pros and Galaxy Tabs are capable of editing videos and playing graphically sumptuous games, in addition to handling more mundane tasks. Both are available with snap-on keyboards and sophisticated styluses too, making them powerful choices for the productive and the creative. They're not for everyone, but tablets do make a lot of sense for some people -- they aim to provide the right amount of power and functionality at the right time. As tablets get more powerful and the software available to them becomes more sophisticated, the scope of people for whom tablets are a potentially viable PC replacement will continue to widen. This might be the biggest reason to abstain -- after all, you probably have a device in your pocket that can do basically anything a tablet can. Beyond that, gadget makers tend to prioritize smartphones: New components, features and software typically debut on handsets before they make their way into tablets. What's more, smartphone screens are getting larger by the day -- extra-long, 18:9 panels are becoming more common, with the bezels surrounding those displays also getting narrower. We've already seen a few phones that are basically all screen, and it's not hard to imagine that trend taking hold across the industry. Sure, a tablet will still give you more raw screen real estate to work with, but that argument isn't as persuasive as it was a few years ago. Smartphones are tremendously popular. Tablets, less so. Is it any surprise, then, that software developers tend to build for smaller screens first? While the quality of its App Store is generally quite high, Apple's iPad isn't immune to this issue: There's a notable swath of high-profile apps, like Instagram and Whatsapp, that have never been optimized for use on iPads. Instead, Apple users have to install the iPhone version of the app, only to see the device scale it up. This problem is even more pronounced on Android tablets, where it can be even more difficult to find apps optimized for bigger screens. In fact, plenty of apps aren't optimized at all; they essentially fill the tablet's more spacious screen with an interface meant for a smartphone. In fairness to developers on both platforms, the apps continue to work as designed. They just don't make any concessions or add real value for people who would rather use bigger screens. Whether or not that's a true shortcoming is sort of a philosophical question -- these apps work, after all -- but it's clear that nailing tablet experiences isn't a priority to all or even most app creators. The picture is murkier for other tablet categories, though. There isn't really a fantastic small tablet option, for instance; some people point to the iPad mini 4, but it's three years old at this point. 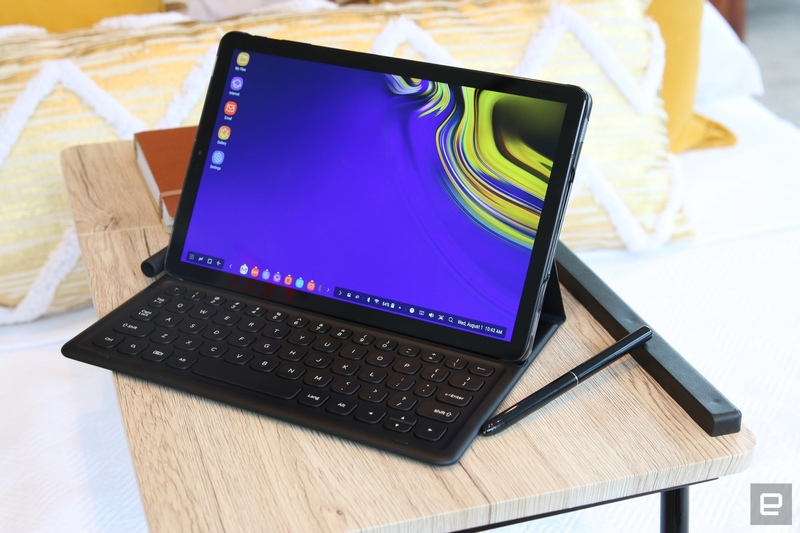 And despite all the players that once tried to claim the crown, there are really only two options if you want a truly premium Android tablet: Samsung's pricey Galaxy Tab S4 and Google's ambitious (if occasionally lacking) Pixel Slate. Ultimately, a one-size-fits-all answer to our big question doesn't exist. That said, at this point we're comfortable saying that most people simply don't need a tablet -- with smartphones constantly becoming more capable and with PC makers continuing to embrace 2-in-1 designs, standard tablets just don't feel as helpful or as novel as they used to. That may soon change as companies like Samsung and Apple keep trying to redefine what tablets are capable of, but for now, we'd recommend you hang on to that money and buy a great smartphone instead.